Reunanen’s puck skills and skating both were impressive. An agile, quick skater with good edge work and backwards skating, he made crisp passes and moved the puck well in the transition game. Played with poise and made one terrific play at the blueline in the second period, keeping the puck in the offensive zone. He was Finland’s best defenseman offensively. While Reunanen didn’t make any big mistakes defensively, he could have been more assertive at times. His awareness without the puck and physicality left some wonders for me. 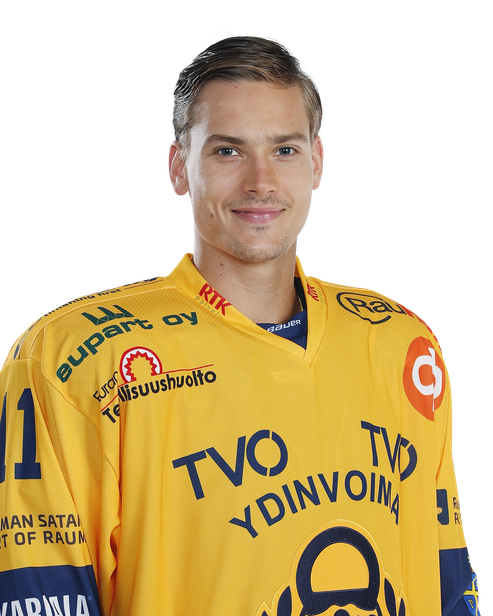 Reunanen is a highly mobile offensive D-man, who can drive the play in Mestis level and play big minutes. Reunanen played the biggest minutes out of all TUTO players and recorded an assist. He is a very good skater and he relies on his skating quite a lot both offensively and defensively. He isn’t very physical player, but he isn’t afraid of contact either and can throw a big hit every now and then. Reunanen was a bit too eager to join the rush two times and caused an odd-man rush to his own end, but both times he managed to handle the situation with his quick skating.